Of course the HIBAL Westall hypothesis is a worthwhile exercise, however context, detail etc should inform the debate. 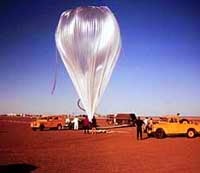 While high altitude is required the balloon to be perhaps mistaken for a classic "flying saucer" (theres a good telescope picture of one at 40 km altitude in the 1976 NRC document "The Use of Balloons for physics & astronomy" - hardly would qualify for a close encounter! ), at launch, low altitude, the balloon would be comparatively deflated. The size relationship of the payload and the balloon decreases with altitude. If the payload was in descent, to precipitate a "close encounter" then you would expect it would be attached to the deployed parachute. Continued attachment at low altitude would create a crash situation, I would suspect, hardly accounting for sighting observations over a small geographical area like Westall, that lend support to a UFO observation, let alone a close encounter at ground level, where the UFO takes off again. I would suspect if HIBAL was the culprit, it would have been blatantly obvious, and little need for a coverup. No one died, to the best of our knowledge, and the incident did not have catastrophic consequences at the state or national level. HIBAL was being summarised in the Australian government Year Books. It seems difficult to reconcile the sighting observations with HIBAL unless one disregards the many elements that seem more supportive of a UFO explanation. Still HIBAL has utility as a possible explanatory data base for "UFO" sightings. I was looking at it as a possible explanation for the "UFO" seen in my "angel hair" experience, although I cannot for one moment see it explaining my ground level handling and apparent sublimation effects of the material in my hands. Anyway to this end I noted a HIBAL ASHCAN launch from Mildura on August 29, 1969, one day before my "angel hair" experience. The Kyogle area also had sightings on August 30, which some suggested was a high level balloon, but it was allegedly ruled out by some authorities. It now seems a likely explanation. Sadly NO DATA on landing point or if failure involved. While the actual purpose of the balloon flights were often secret (eg. ASHCAN was nuclear air sampling), the balloon flights were not so much, other than deploying "weather balloon" as the standard response. In conclusion I would think a low level HIBAL "landing" or "hovering" etc would be readily obvious to most observers and the level of "coverup" reported seems totally disproportional to the possible sensitivities of the payload. On balance I don't see HIBAL as being a good fit for Westall, but maybe for the "UFO" seen by others, not me, at Grafton and Kyogle on 30 August 1969. This doesn't explain my "angel hair" experience, with apparent sublimation observed, which seemed to me to take it out of the ballooning spider web category. That was the explanation I had as I paddled over to the "web fall", but that explanation evaporated quickly (pardon the pun) when I began handling the material. Melbourne. "Series records were destroyed as stated. "I was not able to glean any other factual information. "My people tell me that American personnel were indeed present in Victoria in 1966. "Some in connection to Hibal, other personnel were involved with classified military projects around Australia. ( Westall? )"As per our previous correspondence, I still believe that the Westall incident was tied in with other UAP sightings preceding and shortly following April 6, 1966. "Unfortunately, as discussed, so much stuff was selectively “lost” or “destroyed” by military & government agencies during project transition. "If you are in touch with Keith Basterfield, I have no objection to you passing on any information. Your call…... although the above doesn’t reveal all that much.Same with Shane Ryan and Rosie Jones. "So thats my informant's take on HIBAL & Westall. Anyway I still think HIBAL has utility as a database for explaining some UFO events as suggested by my discussion of my 30 August 1969 experience. I didn't see the "UFO" in question, but my mother did, some other Grafton residents and a host of Kyogle resident also saw something, which may well have been a HIBAL balloon. It would have been an impressive sight. My mother described a sort of undulating shape which may well have been a good fit for a HIBAL balloon. 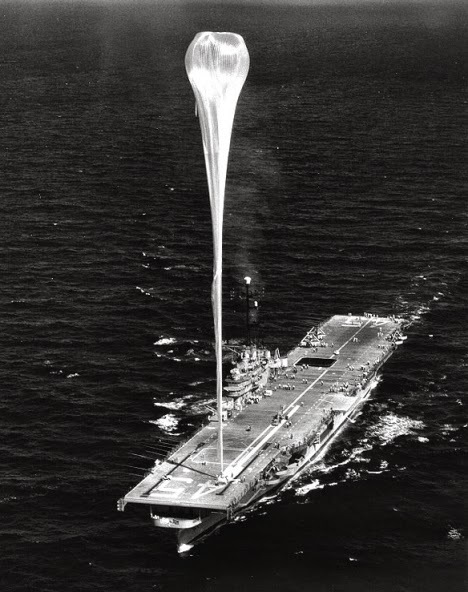 This was a HIBAL Genetrix launch from the USS Valley Forge apparently in the 1950s. 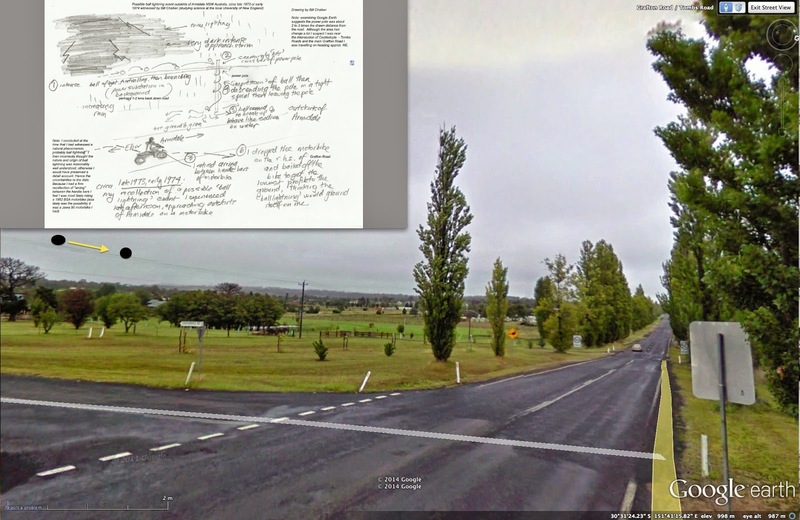 Now consider the following image from investigation notes of an investigation done by David Buching & Michael Smyth in my case file for an apparent "solid light" case that occurred on the 25 October 1974 in Lismore, northern NSW, Australia. I undertook the on site field enquiries at Lismore in the UFOIC investigation at the time. I pondered a sort of nocturnal mirage explanation at the time, but this didn't seem tenable on the evidence. The drawing on the left hand side came to mind when I saw the above HIBAL aircraft carrier photo - a striking likeness, but certainly not sufficient as an explanation in the Lismore case. 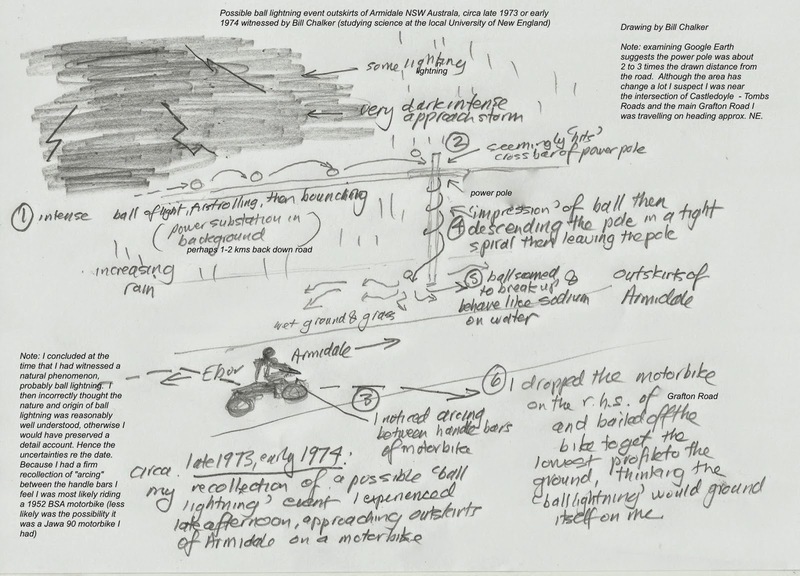 In that incident 2 truck drivers driving near to each other (friends) saw a UFO from various vantage points, which seem to project a long beam - a "transparent glass like tube", "like honey dripping from a spoon." The "beam" or "tube" apparently retracted back into the UFO with "something" attached. The UFO apparently was over a railway yard. As indicated I am not suggesting a HIBAL balloon as an explanation of the 1974 Lismore event. My enquiries with police at the time revealed an uneventful night, with only one call, it seems. Still HIBAL is an interesting source of possible UFO reports, more likely for high level events, but less likely with low level close encounter events, where one would think a balloon, parachute or payload, would tend to direct a witness or investigators quickly to a relatively prosaic explanation. Do yourself a favour if you are at all interested in the serious scientific study of UFOs. 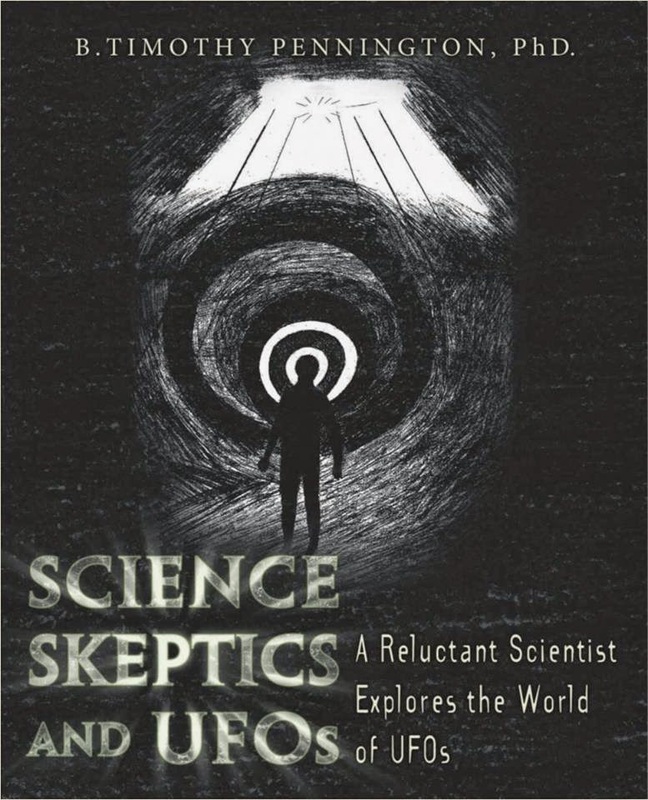 Get a copy of Dr. Tim Pennington's book “Science, Skeptics and UFOS: A Reluctant Scientist Explores the World of UFOs”. 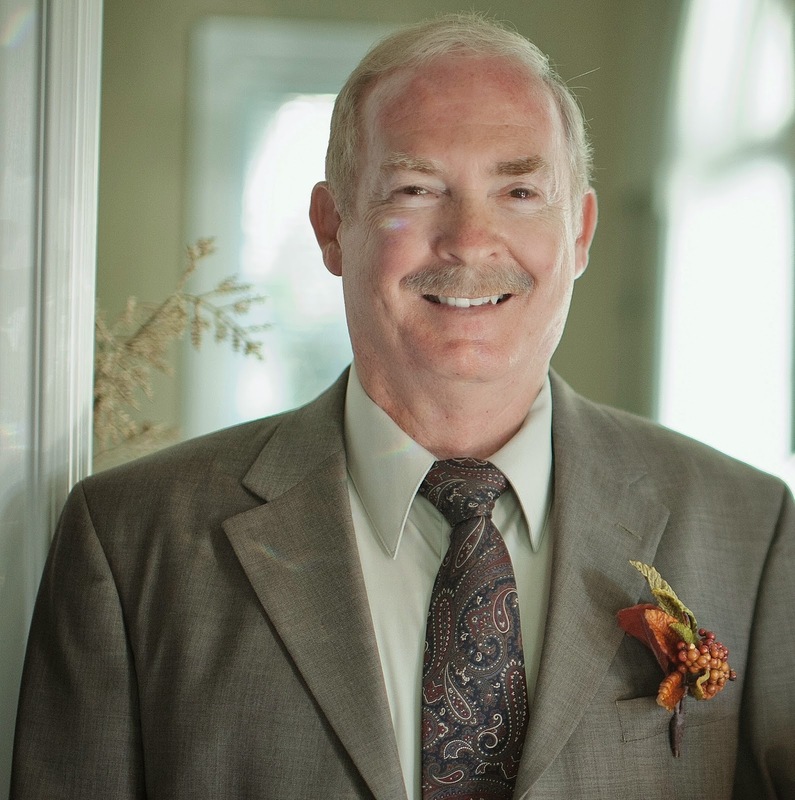 Dr. Pennington witnessed from a distance of about 90 feet ball lightning in March 2005 – a blue-green transparent outer sphere about the size of a beach ball, with white inner “spokes” which seemed almost too bright to look at. It came drifting down “from the sky with no thunder or lightning to be heard or seen.” It dropped steadily to the ground from about 40 feet in about 6 to 8 seconds, leaving no mark on the ground. I’m inclined to agree, but my own experience suggests that the answer might be more messy and complicated than current models. 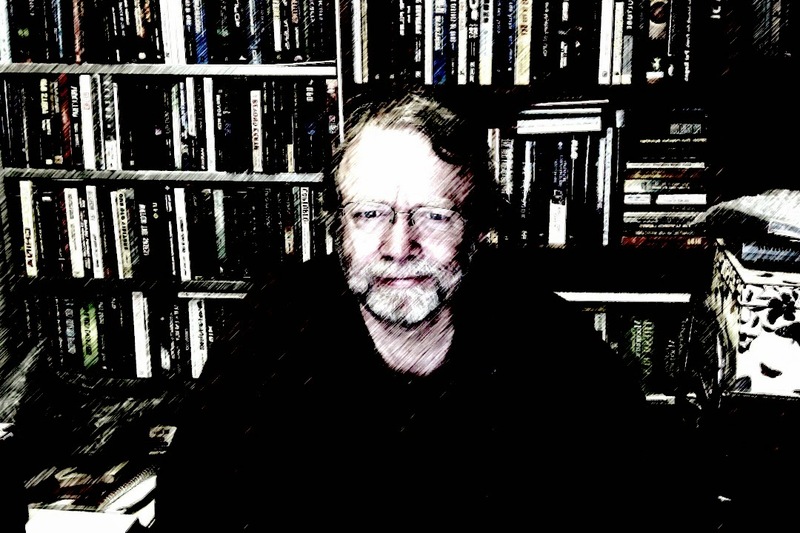 I have always felt that keeping a eye on the natural phenomena data and literature is a useful calibration tool for the UFO experience. Also many cases of a natural origin often find their way to UFO researchers. That dynamic makes the UFO research field a very useful compliment to research into other anomalies that already engage with science. Yet another reason for scientists to engage with UFO research. My own experience with ball lightning occurred in about late 1973 or early 1974. The uncertainty about the date I owe to incorrectly thinking at the time that the nature of ball lightning was relatively well understood. I know I immediately thought what I saw was natural and most likely ball lightning. It was already lightly raining and I was riding a motorbike at speed trying to make it to the safety of Armidale, which I was just approaching from the Grafton Road direction. It was late afternoon and the approaching intense storm front seemed pretty intense and laden with intermittent lightning. So it was not something I wanted to be caught in. I could smell ozone in the area. In the corner of my eye, behind me to the left I noticed the approach of something very bright. I made it out to be a basket ball size ball of intense light, first seen seemingly rolling along power lines, then it seemed to be bouncing along the lines, until it seemed to collide with the cross beam of a power pole. At that point things happened very quickly so while extremely vivid in my recollections I can only describe what I thought I saw play out. I was kind of preoccupied with self-preservation at this point. I noticed arcing between the handlebars of the motorbike. With the apparent contact of the ball with the power pole, it seemed to descend quickly down the pole in a tight spiral, then seemed to leave the pole, at about half to two thirds of the way down in my general direction. It seemed to dive towards the ground, thankfully near the pole, but then seemed to break up into multiple small pieces kind of like sodium behaves when thrown onto water, namely fizzing or igniting like crazy in all directions. I was immediately concerned the ball or its “remains” was going to earth on me, or the bike, and that I was sitting on a petrol tank! I veered across the road to the right laying the bike down as I rolled off it into an area on the side of the road in as low profile as possible. All this took several seconds, then I carefully put my head up and looked in the direction of the pole. All seemed relatively calm with no apparent ball or bits of it evident, but the storm was almost upon me, with the rain starting to intensify. I immediately righted the motorbike, starting it again, fortunately without any problems, and gunned it out of there, finally reaching cover and safety in Armidale. This experience, at least to my mind, was ball lightning in action – intense ball of light, storm, lightning etc. I didn’t think the light ball was created by the power lines. And I was certain it wasn’t a UFO. Rather it was nature unbound in wild form.